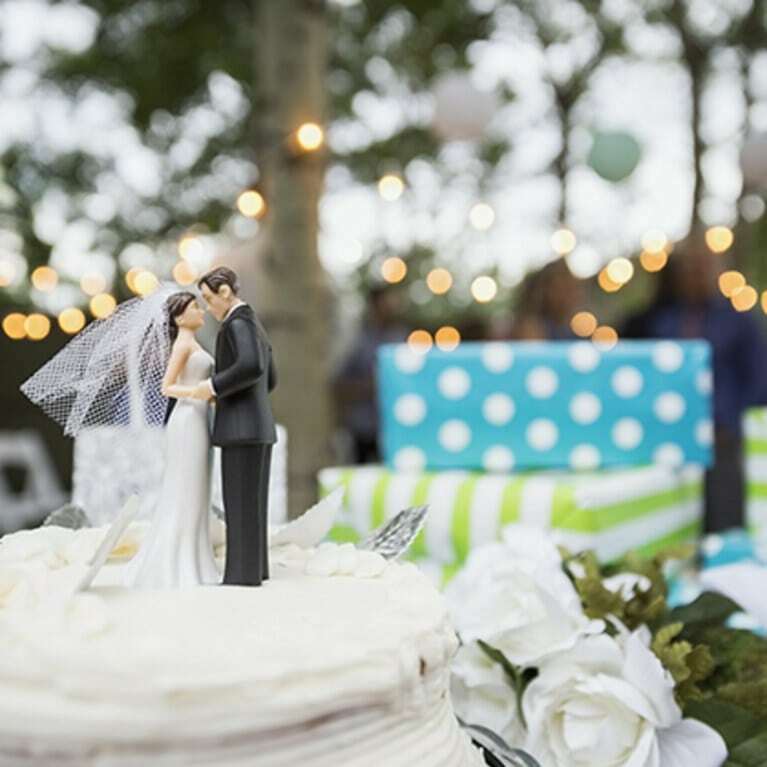 Stressing over wedding gifts is an ongoing issue for guests, especially when the couple has been living together already or may be embarking on their second marriage. It’s hard enough finding a thoughtful gift for those needing to furnish their first home, but it’s even harder when the couple seemingly has everything they need. Have no fear! More sophisticated couples deserve congratulatory presents too, and we’re sharing 8 amazing second wedding gifts that will spoil the happy couple and ease your mind. These ideas are actually wanted and we’re sure to be used. Inexpensive and easily personalized, we’re loving these marked luggage tags! What’s great about this gift is that the happy couple can easily use them. They won’t be thrown in a closet and forgotten about. They won’t be taking up space and cluttering corners. And they won’t be traded in either. Spruce up their honeymoon luggage with a set of matching beauties like this! You can always gift the newlyweds with a bit of fun. This game is perfect for dinner party entertainment or if someone is planning a “wine tasting” at home. As the description states, “Each round introduces a new wine and a new theme card, like, “If this wine had a job, what would it do?” or “Compare this wine to a celebrity.” It’s full of creativity, laughter, and you’ve got to have some wine to sip on the side. Throw a bottle of their favorite in with this gift! A simple gift but one that will last, a family recipes journal will definitely make a lasting impression. The couple can share their favorites inside and pass along to family members. It’s a wonderful, thoughtful keepsake that will keep on “giving” for years to come. And it’s really inexpensive so you could pair this item with a few other fun things you find on your shopping adventure for the bride and groom. If you’re looking for something a bit more on the traditional side, why not go with a vase that they can have forever. Contemporary style is always trendy and this rectangle design is unique – and one they can use year round. The best part, this one doesn’t break the bank either! If you’re not so worried about the price tag and really want to wow the couple with something offbeat and unique, why not surprise them with a vintage popcorn machine. They can have this in their bonus room or man cave and enjoy fresh popcorn everytime they want to stay in to enjoy some movies at home! And if they have kids, they’ll have a ball with it too. You can sniff out the couple’s style and know if a decanter set is right for them. And if it is, this chic diamond design is the perfect one to go with. It’s unique, it’s modern, it’s got a great price tag, and has great reviews. It’s one they can leave out on their bartop and show off as well! Do they love coffee? If you know they don’t have one of these beauties, it’s a great gift to give for a wedding. Creating both iced and hot coffee with ease, it’s one of the best makers on the market. There’s even room to create “specialty” drinks for those individuals that love a bit of something extra. Finally, our favorite idea on the list is the Anniversary Journal. It’s a keepsake that will truly last a lifetime and one that will keep the couple connected for the rest of their lives. You’ll be gifting them with a new tradition to add to their relationship. They’ll be able to add photos, record memories of each year gone by, and even get gift ideas for every year! Marrying a Widower. How Long to Wait After Death of Spouse?